If you're looking for the ultimate in handling performance for AutoX, all out road racing, and/or meticulous carving of corners on the street, then look no further than our RRx Series™ lightweight tubular front sway bar equipped with spherical end links. 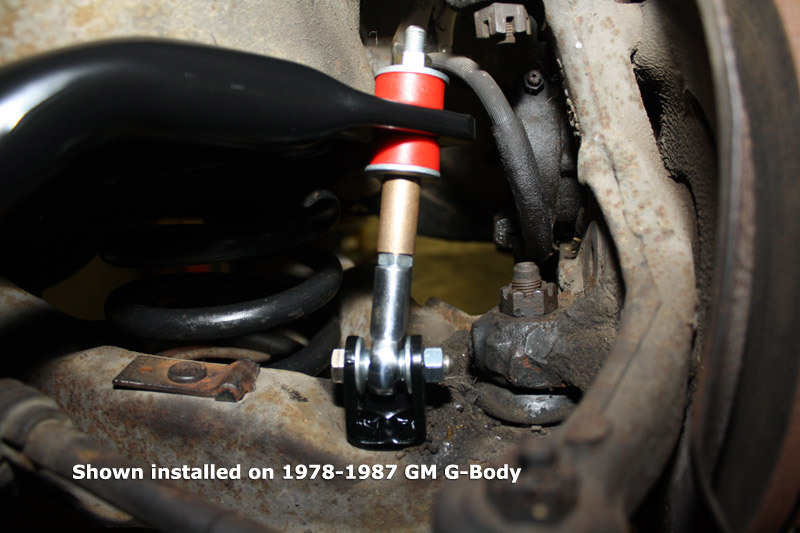 This front sway bar is the single biggest handling improvement you can make to your 1982-1992 GM F-Body Camaro and Firebird. It dramatically reduces body roll and greatly increases your cornering capabilities. Don't skimp on the foundation of your suspension! Our RRx Series™ 1.375" diameter lightweight tubular front sway bar is made from 3/16" wall 4130N chrome moly tubing. This sway bar is precision CNC formed and coined as one piece. 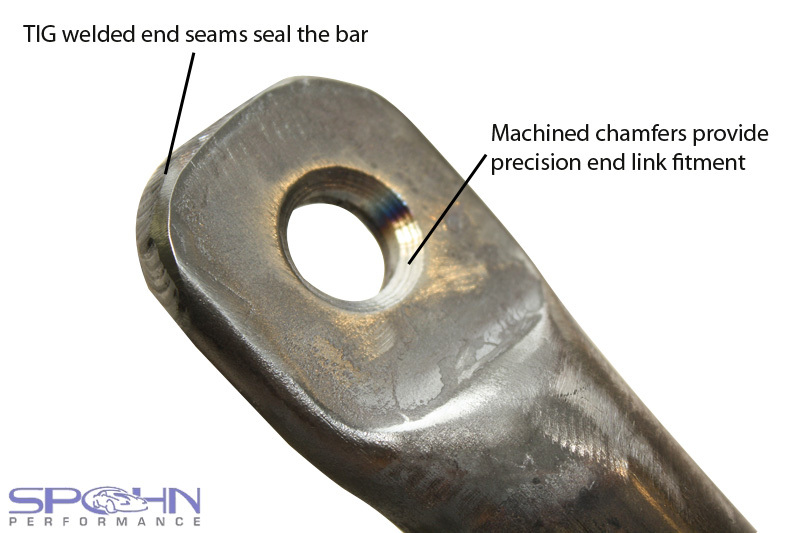 The end seams are TIG welded and the end link coins feature machined chamfers to seal the bar. This tubular bar is over 10 pounds lighter than a comparable diameter solid bar providing maximum performance with minimal weight! We put our front sway bar through this extensive manufacturing process to ensure that the final product will be the strongest, and most durable front sway bar on the market, and the most resistant to form alteration. 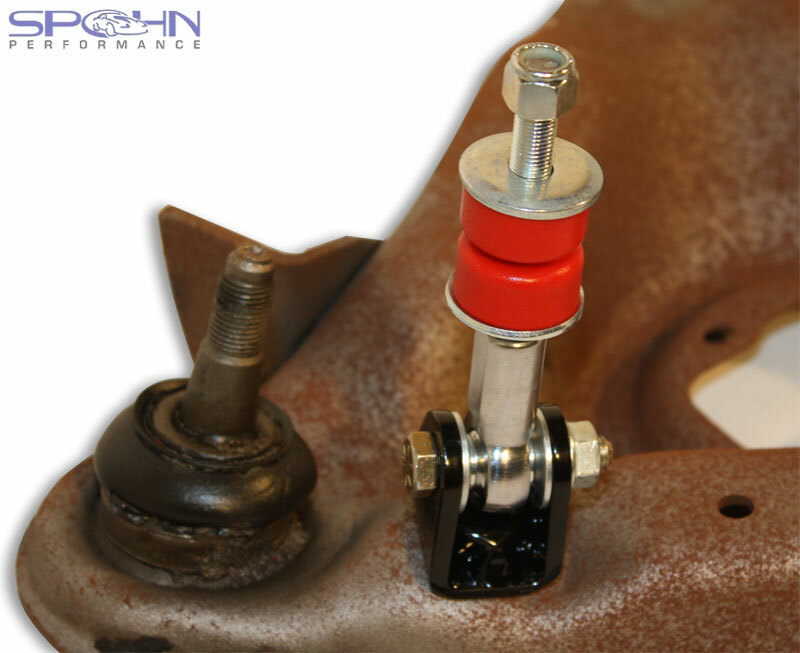 The spherical front sway bar end links allow this larger front sway bar to reach its full potential. 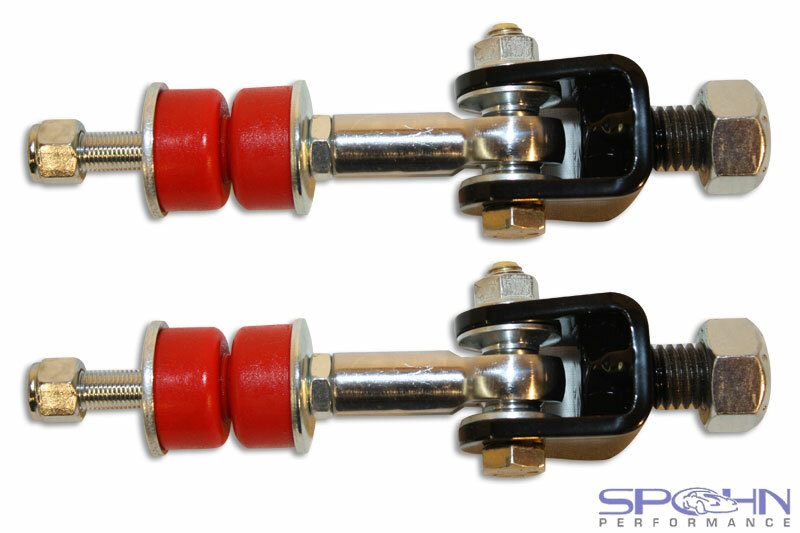 The amount of stress applied to the front sway bar end links is severe and you need an end link that is not going to flex and/or bind up to obtain the maximum handling performance you're looking for. 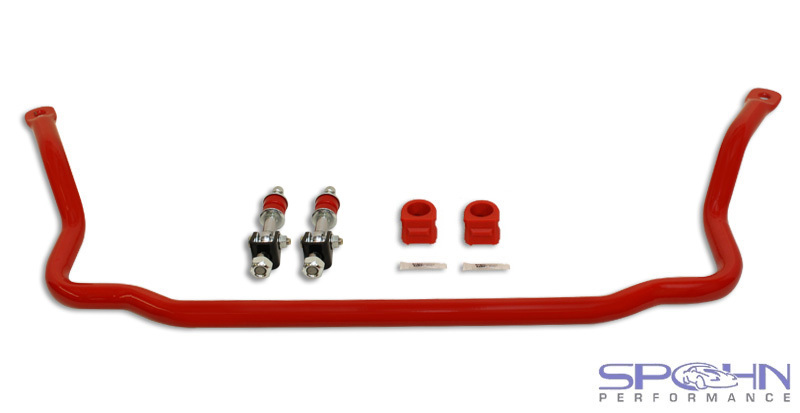 This RRx Series™ front sway bar kit includes new polyurethane sway bar bushings and spherical end links, everything you need for an easy bolt in installation and maximum performance! It's available powder coated in your choice of the above colors for a brilliant and durable finish.